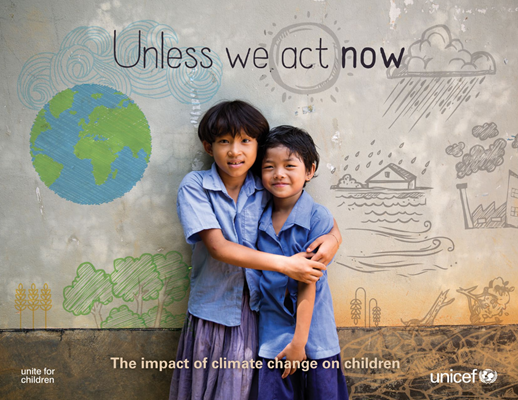 Blue Raster is proud to announce a collaboration with The United Nations Children’s Fund (UNICEF) to contribute to Unless We Act Now: The Impact of Climate Change on Children – a report published by UNICEF at the annual Conference of Parties (COP21), also known as the 2015 Paris Climate Conference. COP21 is a renowned conference that brings together international voices representing government and UN Agencies, NGOs and civil society to assess climate change and set universal agreements and goals for reducing climate change and adapting to the changes that have already begun. The Unless We Act Now report leveraged geospatial analysis of current demographic, environmental and projected climate data, in order to direct aid to child populations across the world as they face unforgiving changing weather patterns. UNICEF has made putting children first their mission, and although climate change is an imminent threat to populations across the world, it is children who are hit the hardest as their bodies are most vulnerable to change. 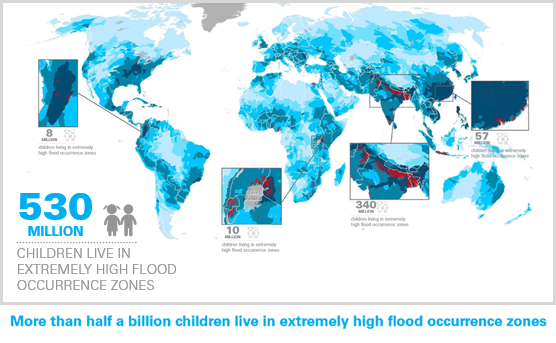 Being able to understand where these 2.3 billion children are was the first step, but taking this further to understand how environmental conditions such as droughts, floods, and extreme heat effect food and water supply, sanitation, and the spread of disease is made possible through GIS analysis via ArcGIS Desktop and ArcGIS Online. Climate Change affects children in unique ways — these maps show where Children and Climate Change intersect. A map poster featuring the analytical and cartographic work was then featured at the 2016 Esri User Conference and won the ICA and IMIA Excellence in Cartography award, and was selected for publication in 2017 Esri Map Book, Volume 32.